One thing you may not know about our winemaker Amanda is that she loves to travel. She has actually been to every continent except Antartica(the one continent that doesn’t make wine!). One of her favorite countries she has visited was Morocco. The food, culture, and people there make it an amazing country to visit. One of her favorite things about the country is their markets. They were filled with aromatic spices and unique cookware. On Amanda’s visit, she picked up a most unique pieces of cookware — the Tagine. It is commonly used to slow-cook dishes to make the meat incredibly tender. 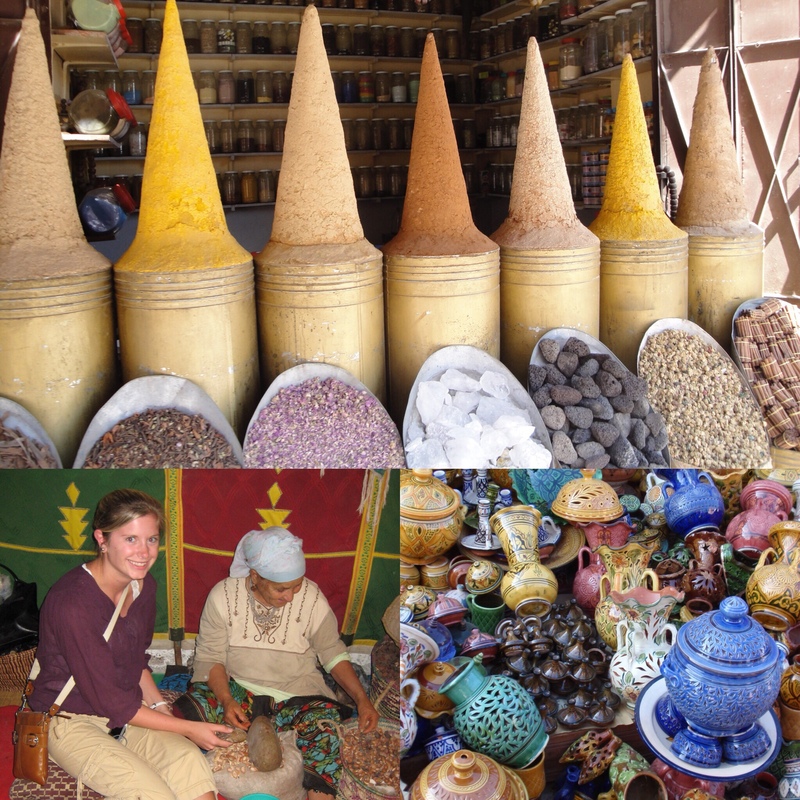 The tagine consists of two pieces, shaped like a cone upside down on top of a curved plate. They come in all colors and sizes, typically with beautiful designs painted on the outside. 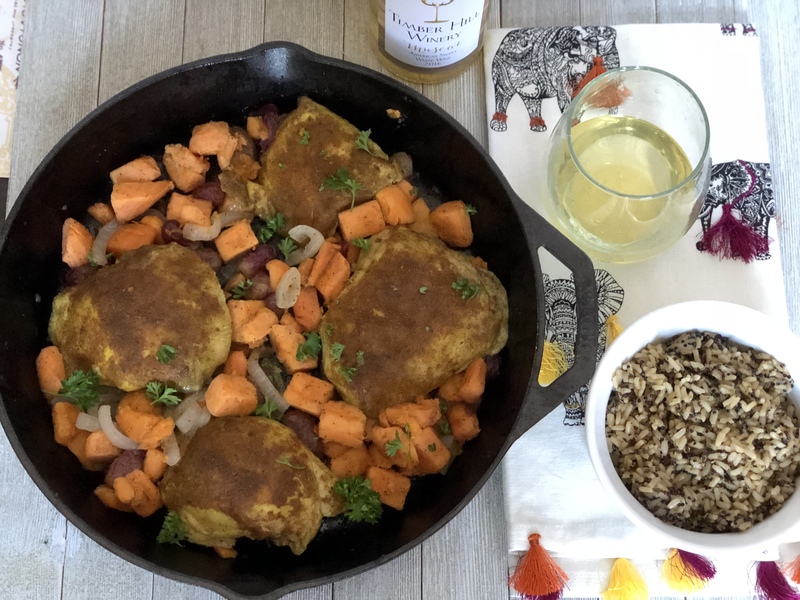 While you can make all types of meat and dishes in a tagine, our favorite recipe we have found is for Chicken Tagine, with grapes, onions, and sweet potatoes. Realizing that most kitchens in the US (including ours!) 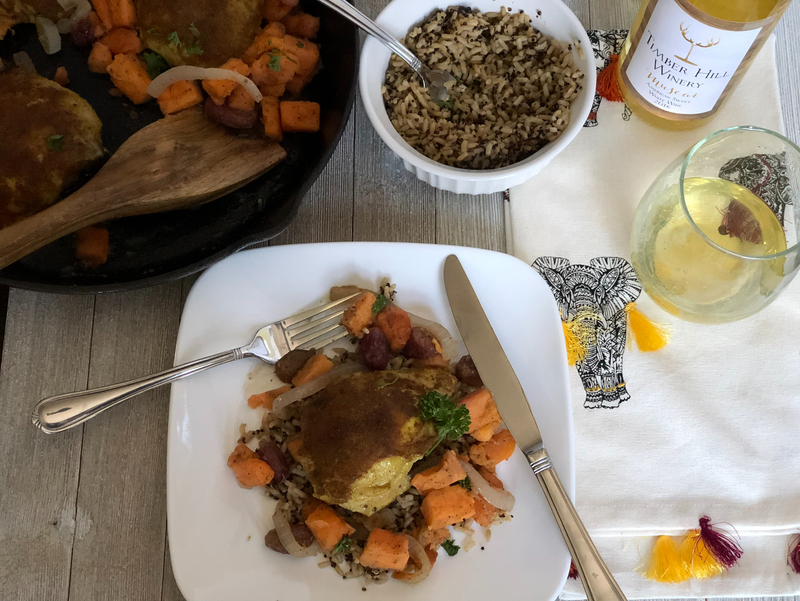 do not have a tagine, we have adapted the recipe to be made in a much more common household appliance – a Slow Cooker! Sprinkle the curry powder, and a little salt & pepper over all the chicken thighs, on both sides. Coat the slow cooker with cooking spray and then add the sweet potatoes and onion. Toss them in olive oil, ginger, and garlic. Then add chicken and grapes to the slow cooker. Set on low and cook for 6-8 hours. Prepare side grain(couscous or rice) and chop parsley before serving. Plate grain, chicken tagine, and top with fresh parsley. « The Month of February Has Our Hearts Overflowing with Emotions!